Lynn Rives is the owner of Simply Brilliant Dogs! where creating custom training and wellness solutions for dogs of all ages is her passion. 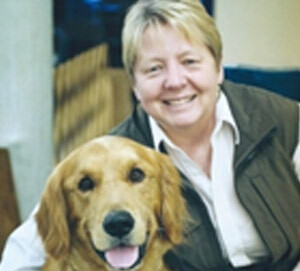 She has taught dog training and behavior for over thirty (30) years with a strong focus on helping the human ‘speak dog’, and dog ‘speak human’ thus actively improving the lives of both. Lynn enjoys training and showing her dogs, horseback riding, marksmanship and continuing education.